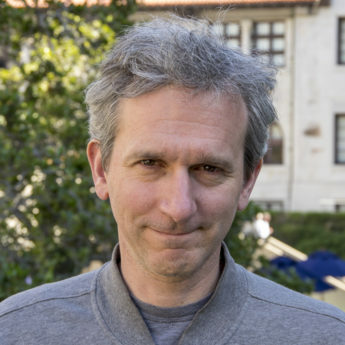 Karl Zipser is currently the lead developer of the autonomous driving model car project within the Berkeley Deep Drive research program. Equipped with stereo cameras and the latest mini GPU computers, and running a neural network trained with more than 57 hours of newly acquired driving data, these cars can now drive semi-autonomously on Berkeley sidewalks and in Tilden park. The key value of the project is the ability to put model cars into dangerous situations (both terrain-related danger and dangerous multi-car scenarios) which are impossible to study with full size cars. The goal is to transfer driving strategies obtained with the models into full sized automobiles. Dr. Zipser obtained his Ph.D. from the Massachusetts Institute of Technology in 1995, where he did seminal work in Peter Schiller’s lab studying the response properties of neurons in visual cortex. His most influential work showed how spatial context modifies neural responses according to figure-ground relationships, irrespective of the specific visual cues used to define those relationships. In 2014, Dr. Karl Zipser was appointed as an assistant researcher at the Helen Wills Neuroscience Institute at the U.C. Berkeley. In 2016, Dr. Zipser began working with the newly created Berkeley DeepDrive research center as a Principal Investigator. Prior to beginning research at UC Berkeley, Dr. Zipser spent a decade devoted to visual art. Working in The Netherlands, he sold his paintings in several Dutch galleries. His experiences as an artist have provided useful insights into visual perception which he has shared with both scientists and artists — previously on a website he founded call ArtAndPerception.com, which for several years was a lively forum for discussion of art and perception. Although he no longer has time to practice art himself, he maintains ongoing discussions with artists about his neuroscience research, a process which is informative both for him and the practicing artists.